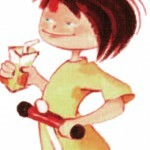 February 20, 2011	Categories: Parents Tagged: At-Home, Exercise, Movement, Phy.Ed. Jumping Jenny celebrates the joy of movement. Moving is not only fun, but it has all kinds of positive health benefits too, from your heart to your weight to your emotional wellbeing. If you feel that as a family you’re not as active as you’d like to be, there are some simple things you can do to incorporate more physical activity into your everyday. Creating an obstacle course not only challenges your children physically, but also helps build attention and concentration. Walk Whenever You Can: walk your children to school; take the stairs instead of the escalator or elevator; take a family walk after dinner; replace a Sunday drive with a Sunday walk; go for a half-hour walk instead of watching TV; park farther from the store and walk. Make a Backyard Obstacle Course: The course you create can be as simple or complex as you like. You might want to involve your children in the planning, or alternatively, it might it more fun to set it all up and see their surprised faces when they step outside. The following are just a few suggestions for materials you may want to use for your obstacle course. Get as creative as you like. Set the different objects up in such a way that children can go through them in a sequence: under the tables, over the chairs, roll across the blankets or towels, crawl through the boxes, jump in and out of the tires, jump with the rope, bounce on the ball, etc. Instruct the children to go through the course the first time walking, to get a feel for what they will be doing. Then see if they have suggestions for other ways to go through the course- maybe backwards, or crawling or running from one obstacle to the next. You might remind them of how much Jenny loved to jump and incorporate jumping into the challenge, like adding ten jumping jacks or jumping rope between each obstacle. You can also have them imitate animal movements, especially those that jump, going through the course as a kangaroo and then a frog. Bring some music outside, and have them move through to different beats. As the children master the course, feel free to add challenges at any time. Variation on the Circuit Theme: If you do not have the time or space to set up an obstacle course, you can do a kind of circuit training with the kids. In honor of Jumping Jenny, for this circuit, why not base the movement on the jumping theme. Ask your kids about all the different ways they can think of jumping. Try to include 5 or 6 activities to begin with, two minutes at each station, and add to or change them as you see fit. You might want to make stick figure drawings of the activities, to put near the ‘stations’ to remind everyone about what they will be doing there. Here are activities you can include: Running on the spot, Star jumps, Hopping on one leg then the other, Skipping with rope, Jumping on the spot, etc. 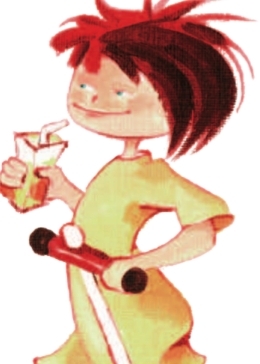 This entry was posted in Parents and tagged At-Home, Exercise, Movement, Phy.Ed.. Bookmark the permalink.